NOW BUILT WITH TWO FRONT WHEELS FOR ADDITIONAL STABILITY!! 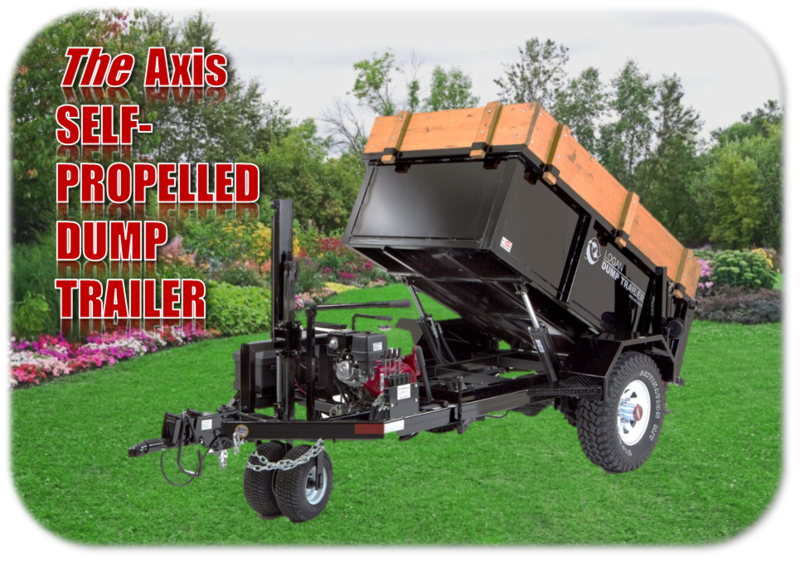 Why is the Axis Self-Propelled Dump Trailer better than other dump trailers? 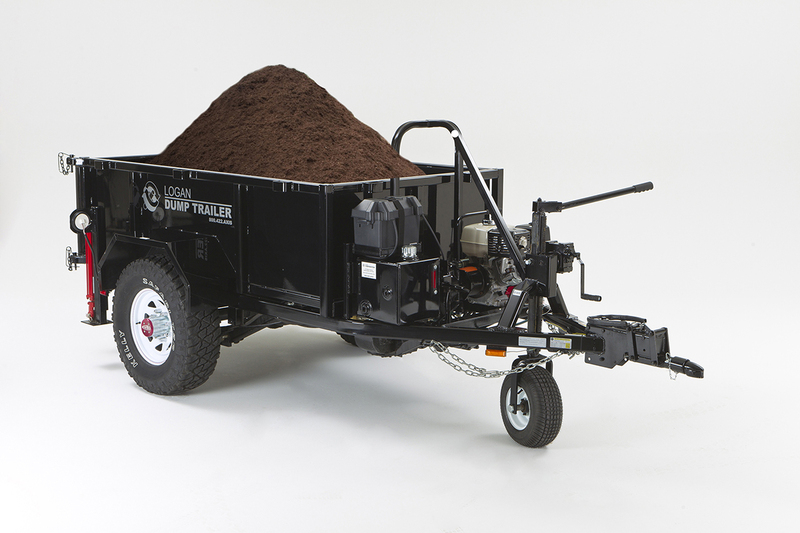 You can take the dump trailer directly to the work site and eliminate lifting and carrying, or using wheel barrows. 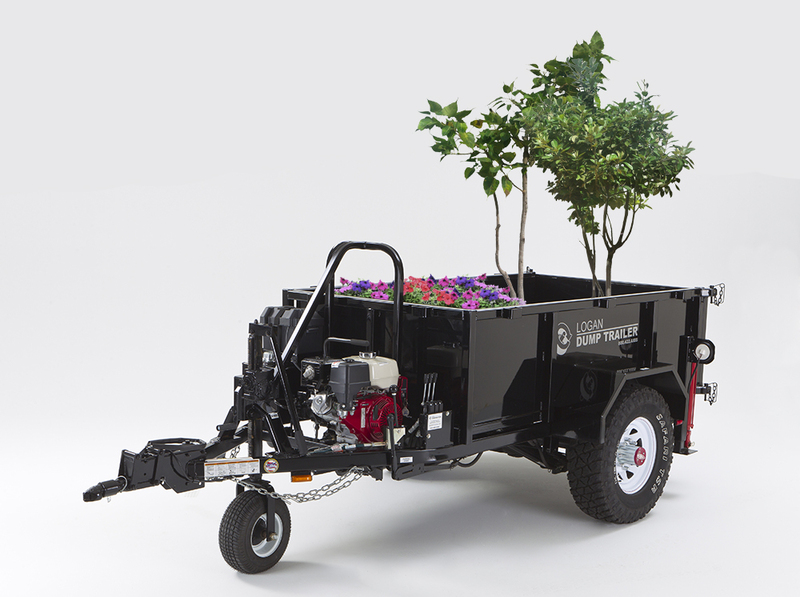 You don’t have to dump mulch, or transport it in wheel barrows—you can take it right to the flower beds and dump it where it needs to be. It saves you time and labor. 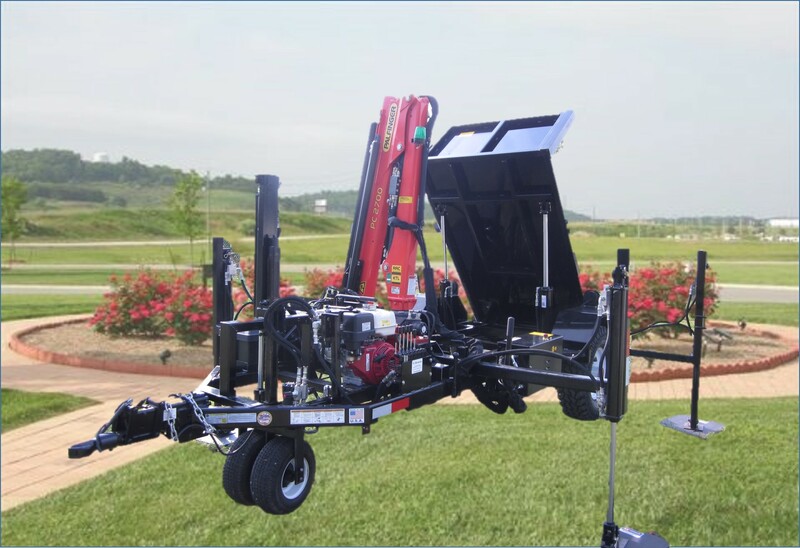 You can move it around the building when taking off roofing shingles, instead of workers moving around the roof, which is time-consuming and dangerous. 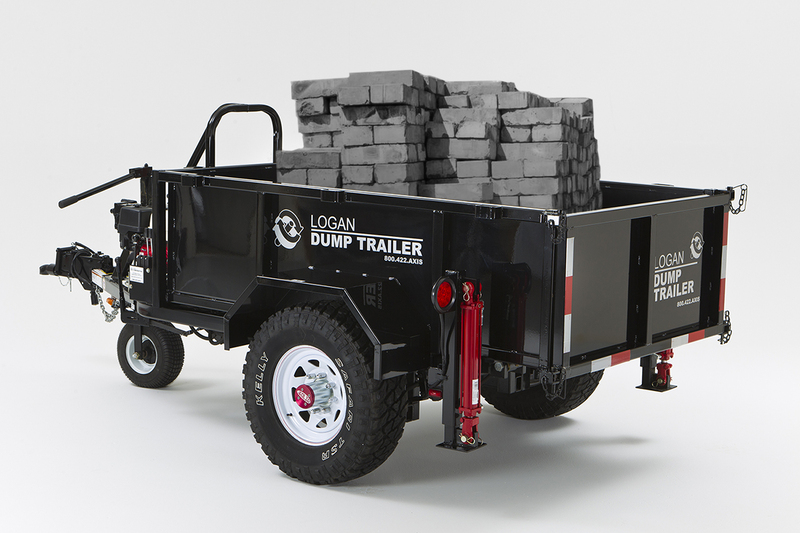 It has two hydraulic cylinders in the back for leveling on hills, or uneven ground, and it will prevent you from getting stuck.